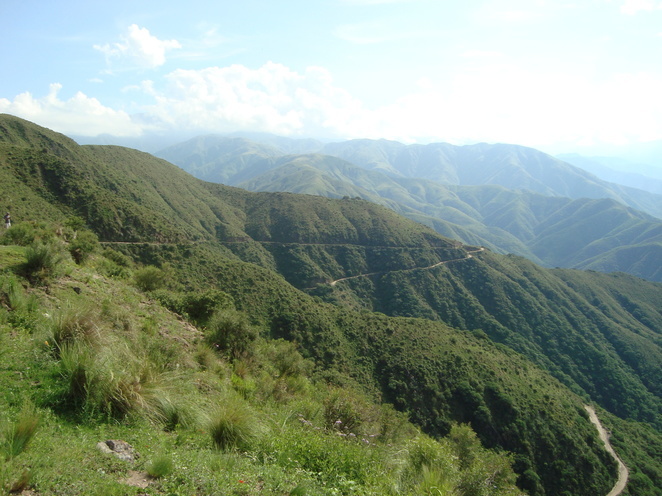 This mining district holds the famous occurrence of the banded layers, concretions, and stalactites of "Inca Rose" rhodochrosite, first described in the literature in 1873, and for which it is sporadically being mined for specimens and lapidary material. 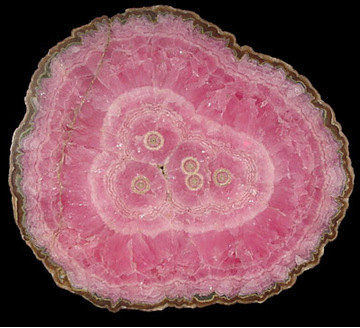 But at various times in the past, the deposit was worked for its metals content, not the more famous rhodochrosite. Indigenous people probably mined the placers for gold in pre-Colombian times. In the 17th and 18th centuries, the area was mined by the Jesuits. From the 1850s onwards mining was carried out by Argentine and English companies, and later by the Argentine military. Epithermal mineralization related to Miocene-Pliocene volcanism hosted in Paleozoic granite. Principal veins/mines are the Capillitas, Carmelitas, La Rosario, Ortiz, Restauradora, and 25 de Mayo veins. This is the most species-rich mining district in Argentina. The mineral deposition has been divided into six stages. 121 valid minerals. 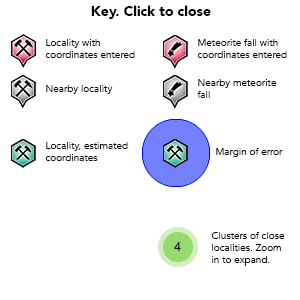 5 (TL) - type locality of valid minerals. Reference: Milka K. de Brodtkorb (2002) Las Especies Minerales de la Republica Argentina. Vol. 1 (elements, sulphides and sulphosalts). (Asociacion Mineralogica Argentina); DE BRODTKORB, Milka K. Precious metaltellurides and other Te-bearing minerals in different paragenesis of Argentina: A review. Rev. Asoc. Geol. Argent. [online]. 2009, vol.64, n.3, pp. 365-372. Reference: Hubert, P., Werner, H., & Dan, T. (2009). A contribution to the knowledge of the mineralization at Mina Capillitas, Catamarca. Revista de la Asociacion Geologica Argentina, 64(3), 514-524. Reference: Milka K. de Brodtkorb (2002) Las Especies Minerales de la Republica Argentina. Vol. 1 (elements, sulphides and sulphosalts). (Asociacion Mineralogica Argentina); DE BRODTKORB, Milka K. Precious metaltellurides and other Te-bearing minerals in different paragenesis of Argentina: A review. Rev. Asoc. Geol. Argent. [online]. 2009, vol.64, n.3, pp. 365-372.; Hubert, P., Werner, H., & Dan, T. (2009). A contribution to the knowledge of the mineralization at Mina Capillitas, Catamarca. Revista de la Asociacion Geologica Argentina, 64(3), 514-524. Reference: Recursos Minerales de la Republica Argentina, E. O. Zappettini Ed., Buenos Aires 1999 ISSN 0328-2325; Paar, W., Roberts, A.C., Topa, D., Zagler, G., Berlepsch, P., Armbruster, Th. (2004): Putzite, (Cu4.7 Ag3.3)GeS6, a new mineral species from Capillitas, Catamarca, Argentina: description and crystal structure. Canadian Mineralogist: 42: 1757-1769.; Milka K. de Brodtkorb (2002) Las Especies Minerales de la Republica Argentina. Vol. 1 (elements, sulphides and sulphosalts). (Asociacion Mineralogica Argentina); DE BRODTKORB, Milka K. Precious metaltellurides and other Te-bearing minerals in different paragenesis of Argentina: A review. Rev. Asoc. Geol. Argent. [online]. 2009, vol.64, n.3, pp. 365-372.; Hubert, P., Werner, H., & Dan, T. (2009). A contribution to the knowledge of the mineralization at Mina Capillitas, Catamarca. Revista de la Asociacion Geologica Argentina, 64(3), 514-524. Reference: Paar, W., Roberts, A.C., Topa, D., Zagler, G., Berlepsch, P., Armbruster, Th. (2004): Putzite, (Cu4.7 Ag3.3)GeS6, a new mineral species from Capillitas, Catamarca, Argentina: description and crystal structure. Canadian Mineralogist: 42: 1757-1769. ; DE BRODTKORB, Milka K. Precious metaltellurides and other Te-bearing minerals in different paragenesis of Argentina: A review. Rev. Asoc. Geol. Argent. [online]. 2009, vol.64, n.3, pp. 365-372. Description: This mine is the occurence of the well-known rhodochrosite concretions and stalagtites from Argentina. Reference: Recursos Minerales de la Republica Argentina, E. O. Zappettini Ed., Buenos Aires 1999 ISSN 0328-2325; Paar, W., Roberts, A.C., Topa, D., Zagler, G., Berlepsch, P., Armbruster, Th. (2004): Putzite, (Cu4.7 Ag3.3)GeS6, a new mineral species from Capillitas, Catamarca, Argentina: description and crystal structure. Canadian Mineralogist: 42: 1757-1769. Reference: Recursos Minerales de la Republica Argentina, E. O. Zappettini Ed., Buenos Aires 1999 ISSN 0328-2325; Paar, W., Roberts, A.C., Topa, D., Zagler, G., Berlepsch, P., Armbruster, Th. (2004): Putzite, (Cu4.7 Ag3.3)GeS6, a new mineral species from Capillitas, Catamarca, Argentina: description and crystal structure. Canadian Mineralogist: 42: 1757-1769. ; Milka K. de Brodtkorb (2002) Las Especies Minerales de la Republica Argentina. Vol. 1 (elements, sulphides and sulphosalts). (Asociacion Mineralogica Argentina); DE BRODTKORB, Milka K. Precious metaltellurides and other Te-bearing minerals in different paragenesis of Argentina: A review. Rev. Asoc. Geol. Argent. [online]. 2009, vol.64, n.3, pp. 365-372.; Paar, W. H., Putz, H., Topa, D., de Brodtkorb, M. K., & Sureda, R. J. (2005, January). Occurrence and paragenesis of tellurium in mineral deposits of Argentina. In Mineral Deposit Research: Meeting the Global Challenge (pp. 1419-1422). Springer Berlin Heidelberg. ; Hubert, P., Werner, H., & Dan, T. (2009). A contribution to the knowledge of the mineralization at Mina Capillitas, Catamarca. Revista de la Asociacion Geologica Argentina, 64(3), 514-524. Description: Described as "challantite" (discredited species). Reference: Recursos Minerales de la Republica Argentina, E. O. Zappettini Ed., Buenos Aires 1999 ISSN 0328-2325; Milka K. de Brodtkorb (2002) Las Especies Minerales de la Republica Argentina. Vol. 1 (elements, sulphides and sulphosalts). (Asociacion Mineralogica Argentina); DE BRODTKORB, Milka K. Precious metaltellurides and other Te-bearing minerals in different paragenesis of Argentina: A review. Rev. Asoc. Geol. Argent. [online]. 2009, vol.64, n.3, pp. 365-372.; Hubert, P., Werner, H., & Dan, T. (2009). A contribution to the knowledge of the mineralization at Mina Capillitas, Catamarca. Revista de la Asociacion Geologica Argentina, 64(3), 514-524. Reference: Recursos Minerales de la Republica Argentina, E. O. Zappettini Ed., Buenos Aires 1999 ISSN 0328-2325; Paar, W., Roberts, A.C., Topa, D., Zagler, G., Berlepsch, P., Armbruster, Th. (2004): Putzite, (Cu4.7 Ag3.3)GeS6, a new mineral species from Capillitas, Catamarca, Argentina: description and crystal structure. Canadian Mineralogist: 42: 1757-1769. ; Hubert, P., Werner, H., & Dan, T. (2009). A contribution to the knowledge of the mineralization at Mina Capillitas, Catamarca. Revista de la Asociacion Geologica Argentina, 64(3), 514-524. Reference: Recursos Minerales de la Republica Argentina, E. O. Zappettini Ed., Buenos Aires 1999 ISSN 0328-2325; Milka K. de Brodtkorb (2002) Las Especies Minerales de la Republica Argentina. Vol. 1 (elements, sulphides and sulphosalts). (Asociacion Mineralogica Argentina); DE BRODTKORB, Milka K. Precious metaltellurides and other Te-bearing minerals in different paragenesis of Argentina: A review. Rev. Asoc. Geol. Argent. [online]. 2009, vol.64, n.3, pp. 365-372.; Paar, W. H., Putz, H., Topa, D., de Brodtkorb, M. K., & Sureda, R. J. (2005, January). Occurrence and paragenesis of tellurium in mineral deposits of Argentina. In Mineral Deposit Research: Meeting the Global Challenge (pp. 1419-1422). Springer Berlin Heidelberg. ; Hubert, P., Werner, H., & Dan, T. (2009). A contribution to the knowledge of the mineralization at Mina Capillitas, Catamarca. Revista de la Asociacion Geologica Argentina, 64(3), 514-524. Reference: Milka K. de Brodtkorb (2002) Las Especies Minerales de la Republica Argentina. Vol. 1 (elements, sulphides and sulphosalts). (Asociacion Mineralogica Argentina); DE BRODTKORB, Milka K. Precious metaltellurides and other Te-bearing minerals in different paragenesis of Argentina: A review. Rev. Asoc. Geol. Argent. [online]. 2009, vol.64, n.3, pp. 365-372.; Paar, W. H., Putz, H., Topa, D., de Brodtkorb, M. K., & Sureda, R. J. (2005, January). Occurrence and paragenesis of tellurium in mineral deposits of Argentina. In Mineral Deposit Research: Meeting the Global Challenge (pp. 1419-1422). Springer Berlin Heidelberg. ; Hubert, P., Werner, H., & Dan, T. (2009). A contribution to the knowledge of the mineralization at Mina Capillitas, Catamarca. Revista de la Asociacion Geologica Argentina, 64(3), 514-524. Reference: MARQUEZ-ZAVALIA, M.F.. The As-rich end-member of the jordanite-geocronite series of the Capillitas Mine, Catamarca. Rev. Asoc. Geol. Argent. [online]. 2006, vol.61, n.2, pp. 231-235. 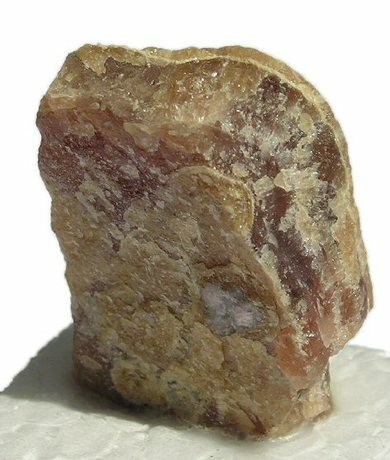 Reference: Effenberger, H., Lengauer, C.L., Libowitzky, E., Putz, H. and Topa, D. (2015) Lislkirchnerite, IMA 2015-064. CNMNC Newsletter No. 27, October 2015, page 1230; Mineralogical Magazine, 79, 1229–1236. Reference: Paar, W., Roberts, A.C., Topa, D., Zagler, G., Berlepsch, P., Armbruster, Th. (2004): Putzite, (Cu4.7 Ag3.3)GeS6, a new mineral species from Capillitas, Catamarca, Argentina: description and crystal structure. Canadian Mineralogist: 42: 1757-1769. ; Milka K. de Brodtkorb (2002) Las Especies Minerales de la Republica Argentina. Vol. 1 (elements, sulphides and sulphosalts). (Asociacion Mineralogica Argentina); DE BRODTKORB, Milka K. Precious metaltellurides and other Te-bearing minerals in different paragenesis of Argentina: A review. Rev. Asoc. Geol. Argent. [online]. 2009, vol.64, n.3, pp. 365-372.; Hubert, P., Werner, H., & Dan, T. (2009). A contribution to the knowledge of the mineralization at Mina Capillitas, Catamarca. Revista de la Asociacion Geologica Argentina, 64(3), 514-524. Reference: Recursos Minerales de la Republica Argentina, E. O. Zappettini Ed., Buenos Aires 1999 ISSN 0328-2325; Milka K. de Brodtkorb (2002) Las Especies Minerales de la Republica Argentina. Vol. 1 (elements, sulphides and sulphosalts). (Asociacion Mineralogica Argentina); DE BRODTKORB, Milka K. Precious metaltellurides and other Te-bearing minerals in different paragenesis of Argentina: A review. Rev. Asoc. Geol. Argent. [online]. 2009, vol.64, n.3, pp. 365-372. Reference: Milka K. de Brodtkorb (2002) Las Especies Minerales de la Republica Argentina. Vol. 1 (elements, sulphides and sulphosalts). (Asociacion Mineralogica Argentina); DE BRODTKORB, Milka K. Precious metaltellurides and other Te-bearing minerals in different paragenesis of Argentina: A review. Rev. Asoc. Geol. Argent. [online]. 2009, vol.64, n.3, pp. 365-372.; Paar, W. H., Putz, H., Topa, D., de Brodtkorb, M. K., & Sureda, R. J. (2005, January). Occurrence and paragenesis of tellurium in mineral deposits of Argentina. In Mineral Deposit Research: Meeting the Global Challenge (pp. 1419-1422). Springer Berlin Heidelberg. Reference: Bindi, L., Putz, H., Paar, W.H., Stanley, C.J. (2016): Omariniite, IMA 2016-050. CNMNC Newsletter No. 33, October 2016, page 1140; Mineralogical Magazine: 80: 1135–1144; Bindi, L., Putz, H., Parr, W.H., Stanley, C.J. (2017): Omariniite, Cu8Fe2ZnGe2S12, the germanium-analogue of stannoidite, a new mineral species from Capillitas, Argentina. Mineralogical Magazine:81: 1151-1159. Reference: Effenberger, H., Lengauer, C.L., Libowitzky, E., Putz, H. & Topa, D. (2015): Pb6Al(OH)8Cl2(NO3)5·3H2O from the Capillitas deposit, Argentina. Poster, MinPet 2015, Leoben, Austria, September 10-13; abstract in Mitteilungen der Österreichischen Mineralogischen Gesellschaft 161, 31. Description: Occurs in a matrix of predominantly chalcocite with relics of bornite. Reference: Paar, W., Roberts, A.C., Topa, D., Zagler, G., Berlepsch, P., Armbruster, Th. (2004): Putzite, (Cu4.7 Ag3.3)8 GeS6, a new mineral species from Capillitas, Catamarca, Argentina: description and crystal structure. Canadian Mineralogist: 42: 1757-1769.; DE BRODTKORB, Milka K. Precious metaltellurides and other Te-bearing minerals in different paragenesis of Argentina: A review. Rev. Asoc. Geol. Argent. [online]. 2009, vol.64, n.3, pp. 365-372.; Hubert, P., Werner, H., & Dan, T. (2009). A contribution to the knowledge of the mineralization at Mina Capillitas, Catamarca. Revista de la Asociacion Geologica Argentina, 64(3), 514-524. Reference: Recursos Minerales de la Republica Argentina, E. O. Zappettini Ed., Buenos Aires 1999 ISSN 0328-2325; Paar, W., Roberts, A.C., Topa, D., Zagler, G., Berlepsch, P., Armbruster, Th. (2004): Putzite, (Cu4.7 Ag3.3)GeS6, a new mineral species from Capillitas, Catamarca, Argentina: description and crystal structure. Canadian Mineralogist: 42: 1757-1769. ; DE BRODTKORB, Milka K. Precious metaltellurides and other Te-bearing minerals in different paragenesis of Argentina: A review. Rev. Asoc. Geol. Argent. [online]. 2009, vol.64, n.3, pp. 365-372.; Paar, W. H., Putz, H., Topa, D., de Brodtkorb, M. K., & Sureda, R. J. (2005, January). Occurrence and paragenesis of tellurium in mineral deposits of Argentina. In Mineral Deposit Research: Meeting the Global Challenge (pp. 1419-1422). Springer Berlin Heidelberg. ; Hubert, P., Werner, H., & Dan, T. (2009). A contribution to the knowledge of the mineralization at Mina Capillitas, Catamarca. Revista de la Asociacion Geologica Argentina, 64(3), 514-524. Reference: Recursos Minerales de la Republica Argentina, E. O. Zappettini Ed., Buenos Aires 1999 ISSN 0328-2325; Paar, W., Roberts, A.C., Topa, D., Zagler, G., Berlepsch, P., Armbruster, Th. (2004): Putzite, (Cu4.7 Ag3.3)GeS6, a new mineral species from Capillitas, Catamarca, Argentina: description and crystal structure. Canadian Mineralogist: 42: 1757-1769. ; Milka K. de Brodtkorb (2002) Las Especies Minerales de la Republica Argentina. Vol. 1 (elements, sulphides and sulphosalts). (Asociacion Mineralogica Argentina); DE BRODTKORB, Milka K. Precious metaltellurides and other Te-bearing minerals in different paragenesis of Argentina: A review. Rev. Asoc. Geol. Argent. [online]. 2009, vol.64, n.3, pp. 365-372.; Hubert, P., Werner, H., & Dan, T. (2009). A contribution to the knowledge of the mineralization at Mina Capillitas, Catamarca. Revista de la Asociacion Geologica Argentina, 64(3), 514-524. Reference: Recursos Minerales de la Republica Argentina, E. O. Zappettini Ed., Buenos Aires 1999 ISSN 0328-2325; Paar, W., Roberts, A.C., Topa, D., Zagler, G., Berlepsch, P., Armbruster, Th. (2004): Putzite, (Cu4.7 Ag3.3)GeS6, a new mineral species from Capillitas, Catamarca, Argentina: description and crystal structure. Canadian Mineralogist: 42: 1757-1769. ; DE BRODTKORB, Milka K. Precious metaltellurides and other Te-bearing minerals in different paragenesis of Argentina: A review. Rev. Asoc. Geol. Argent. [online]. 2009, vol.64, n.3, pp. 365-372.; Hubert, P., Werner, H., & Dan, T. (2009). A contribution to the knowledge of the mineralization at Mina Capillitas, Catamarca. Revista de la Asociacion Geologica Argentina, 64(3), 514-524. Reference: Recursos Minerales de la Republica Argentina, E. O. Zappettini Ed., Buenos Aires 1999 ISSN 0328-2325; DE BRODTKORB, Milka K. Precious metaltellurides and other Te-bearing minerals in different paragenesis of Argentina: A review. Rev. Asoc. Geol. Argent. [online]. 2009, vol.64, n.3, pp. 365-372.; Hubert, P., Werner, H., & Dan, T. (2009). A contribution to the knowledge of the mineralization at Mina Capillitas, Catamarca. Revista de la Asociacion Geologica Argentina, 64(3), 514-524. Reference: Paar, W., Roberts, A.C., Topa, D., Zagler, G., Berlepsch, P., Armbruster, Th. (2004): Putzite, (Cu4.7 Ag3.3)GeS6, a new mineral species from Capillitas, Catamarca, Argentina: description and crystal structure. Canadian Mineralogist: 42: 1757-1769. ; Hubert, P., Werner, H., & Dan, T. (2009). A contribution to the knowledge of the mineralization at Mina Capillitas, Catamarca. Revista de la Asociacion Geologica Argentina, 64(3), 514-524. 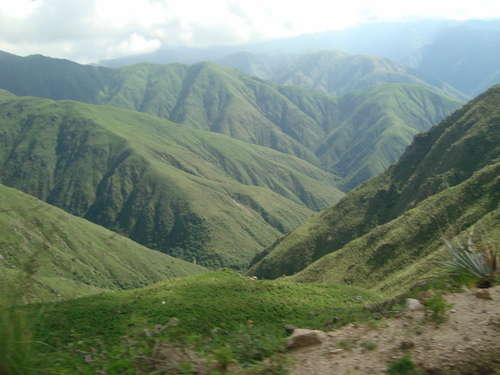 Márquez-Zavalía, M.F. 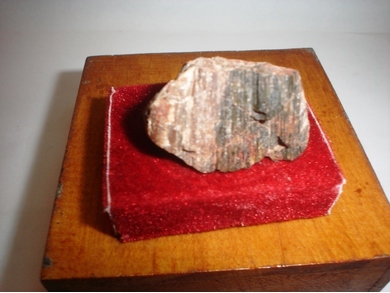 (1990) Mineralogía y génesis del yacimiento Capillitas, Catamarca, República Argentina. 11° Congreso Geológico Argentino: 1: 344-347. San Juan. Márquez-Zavalía, F., Craig, J.R., and Solberg, T.N. 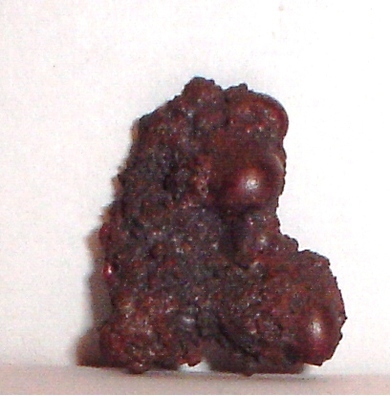 (1999) Duranusite, product of realgar alteration, Mina Capillitas, Argentina. Canadian Mineralogist: 37: 1255-1259. 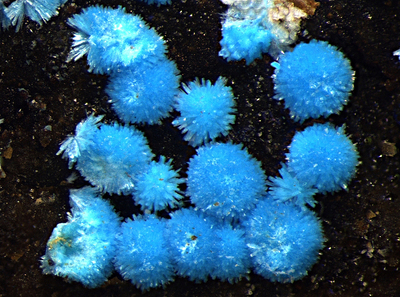 Paar, W., Roberts, A.C., Topa, D., Zagler, G., Berlepsch, P., and Armbruster, T. (2004) Putzite, (Cu4.7Ag3.3)GeS6, a new mineral species from Capillitas, Catamarca, Argentina: description and crystal structure. Canadian Mineralogist: 42: 1757-1769. 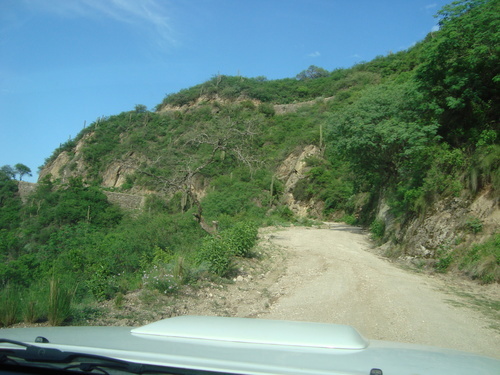 Márquez-Zavalía, M.F. and Craig, J.R. (2004) Tellurium and precious-metal ore minerals at Mina Capillitas, Northwestern Argentina. Neues Jahrbuch für Mineralogie, Monatshefte 2004, 176-192. Putz, H., Paar, W.H., Topa, D., Makovický, E., and Roberts, A.C. (2006) Catamarcaite, Cu6GeWS8, a new species of germanium–tungsten sulfide from Capillitas, Catamarca, Argentina: description, paragenesis and crystal structure. Canadian Mineralogist: 44: 1481-1497. Bindi, L., Putz, H., Parr, W.H., and Stanley, C.J. (2017) Omariniite, Cu8Fe2ZnGe2S12, the germanium-analogue of stannoidite, a new mineral species from Capillitas, Argentina. Mineralogical Magazine: 81: 1151-1159.